Himouto! Umaru-chan will get an original anime DVD (OAD) in spring 2017, which was revealed by the official Twitter account for the manga. This OAD will be bundled with the 10th compiled volume of Himouto! Umaru-chan manga. The manga inspired a television anime in July 2015. The television anime's staff and cast will return for the original anime. Masahiko Ohta will direct the anime, with scripts by Takashi Aoshima, character designs and chief animation director by Aya Takano, and sound director by Yasunori Ebina. The ninth compiled volume of the manga ships on Friday in Japan. The Akita Imokko! Ebina-chan (Akita Native Little Sister Ebina-chan) spinoff manga also released the first compiled volume this Friday. Himouto! 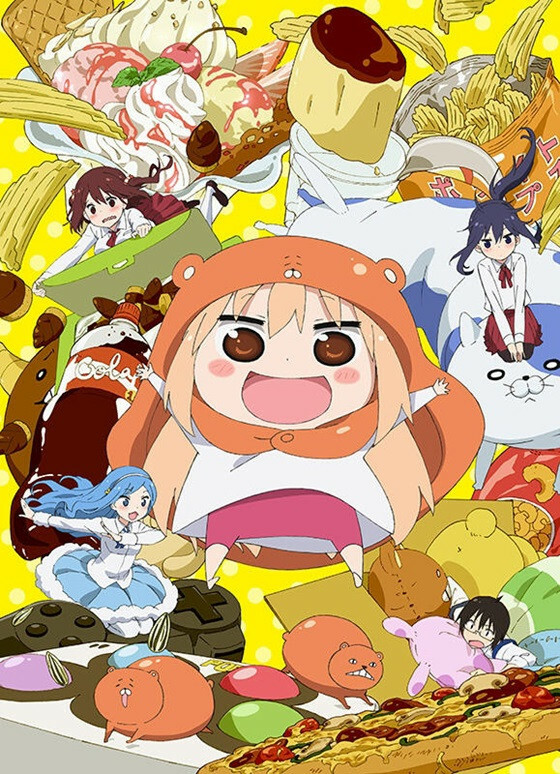 Umaru-chan Manga began serialization in Weekly Young Jump in 2013 (an alternative version was serialized for two chapters in Miracle Jump in 2012). The story follows Umaru Doma, a high school girl who lives with her older brother Taihei. Umaru is an ideal student who boasts beautiful looks as well as prowess in both school and sports. However, she has a certain secret. "Himouto" is a pun on "imouto" (little sister) and "himono," which means "dried fish," but in slang can refer to a woman who is proper in public but lazy at home.